Microblogging platforms have been coming into their own as sites like Tumblr and Twitter have emerged to enable users to provide a shorter format for blog posts. Why microblogs? Microblog platforms offer users an easy way to make shorter format posts that take less time and overhead than a full fledge blog. Soup.io has just officially launched to offer users a microblogging platform that pay attention to your content details so different content types are displayed appropriately. Soup.io's slick Ajax interface offers a tumblelogging and lifestream profile aggregation platform very similar to that of Tumblr but offers a more deliberate friend profile aggregatation tool. With Soup.io you can aggregate your data directly from sites like Flickr, YouTube, Digg. 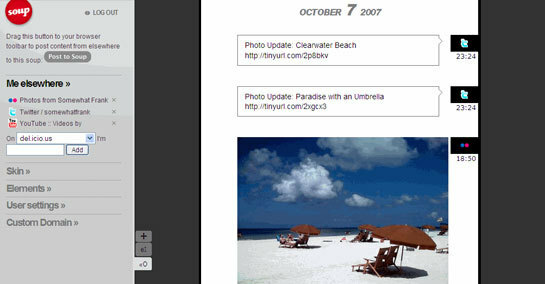 In addition, users can post any of four basic micro-content types which include: text, quote, photos and video. 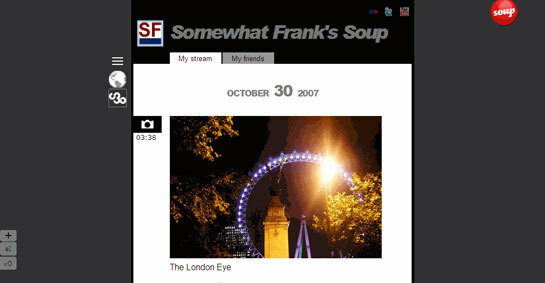 Soup.io showed it's stuff off in London last month but has now officially launched into public beta. I had a chance to give Soup.io a test drive over the past month and liked what it had to offer. I created a page and was able to stylize it to my liking with a number of site design options. Soup.io offers clever design to keep the soup pages clean and also has offered some hidden gems. For example, when hovering over images on a Soup.io page your can click on them to get a magnified version. Soup.io also makes it easy to add friends and keep track of friends placing it in the same category as Twitter and FriendFeed. Soup.io makes it easy to repost items you find on other soup pages to your own page making it easier to post items to your own soup page. Friend updates are shown by icons on your own soup page thus making your page more interactive. One thing I would like to see added to Soup though is permalinks to each item in the soup stream so specific posts can be more easily shared by a direct URL. You can see my Soup.io page here. 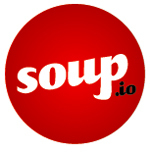 Soup.io is backed by Vienna, Austria based YEurope, a incubator inspired by a YCombinator. Check out the Soup.io slideshow (below) from Bar Camp Munich this past October.